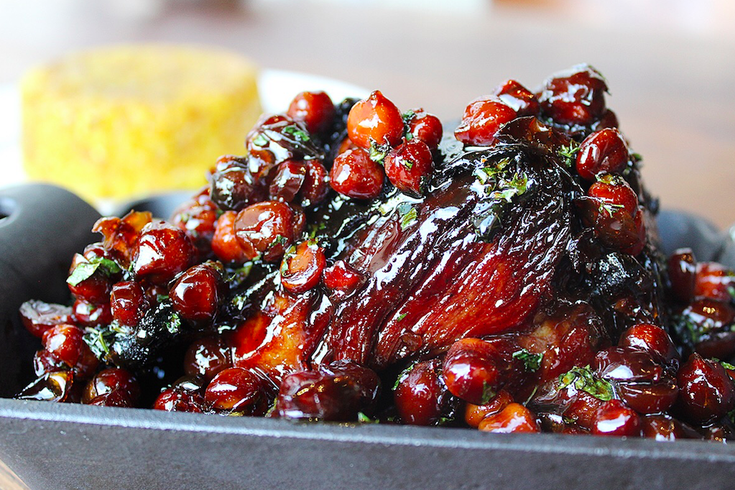 Braised lamb shoulder at Zahav. After stopping by 34 cities and chowing down on 376 meals, one Eater food writer has named a Philadelphia restaurant as one of the best in the nation. The food website published its "The Best Restaurants in America" list Monday and Philly's Israeli restaurant Zahav was one of 38 restaurants to be featured in the lineup. Zahav also snagged a spot for the third year in a row, making it an "Eater Hall of Fame" restaurant for the consecutive ranking. "To best appreciate Mike Solomonov's passionate, exuberant distillation of his Israeli heritage, bring a group, and prepare to feast on mezze and smoked lamb," wrote Bill Addison, the Eater restaurant editor who compiled the list. In July 2015, Addison called Solomonov, who also co-owns restaurants Abe Fisher and Dizengoff, the "genius of modern Jewish cooking." Zahav's place on the list isn't its only recent bragging right. OpenTable published its own list of the "100 Best Restaurants in America," and Philly's Bibou, Vetri and Zahav all landed spots.